For POP3 accounts change to the following. For IMAP accounts we recommend creating a new account and then copying your mail from your old account to your new one. 1. Go to the Applications folder and choose Mail, or click the Mail icon from the Dock at the bottom of your screen. 2. From the Mail drop-down menu, choose Preferences. 3. Click Accounts, then choose the account you want to edit or verify. 4. 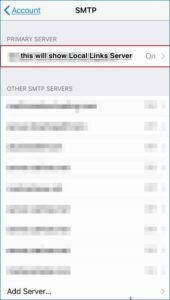 Click on the Server Settings tab. 5. If checked, uncheck the boxes for Automatically manage connection settings. 1. From the Email app, press the menu key, then choose Settings. 2. Pick Account settings, then click the account you want to change on the next screen. 3. After that, you have to scroll to the bottom to get More settings, and to the bottom again to change the Incoming settings and Outgoing settings. 1. From the home screen on your phone click on SETTINGS. 3. 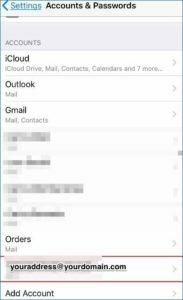 You will see a list of all of the email accounts on your phone or iPad. Click on the email account that you need to update the server settings for. Once clicked you will be brought to the next screen. 4. Click on the account to get to the email account settings. 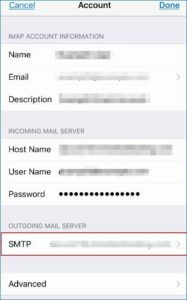 You will see either iMAP or POP Account information. Do NOT Change the type of account you have. 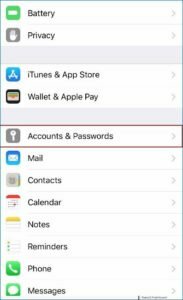 The settings below will work for POP3 accounts. 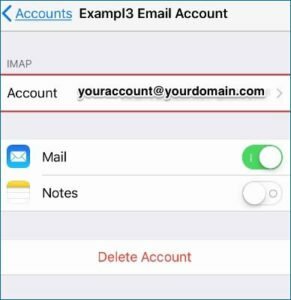 For IMAP accounts we recommend creating a new account. 3. Do not change your username and password. If it requires you to reenter it, enter your full email address and your current password. 1. Scroll down to Outgoing Server. 3. 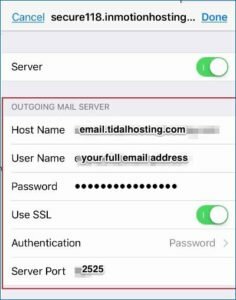 You will see a list of OUTGOING SERVERS that have been configured on your iPhone or iPad. 4. 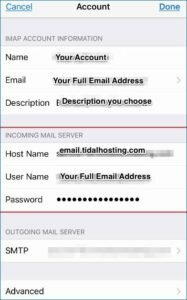 The one that is currently set to be used with this particular email account is at the top and highlighted: Primary Server. 7. Click Done. It will verify the settings. If it does NOT verify one of the settings is incorrect. Try reentering the server information. If you still are having trouble please contact us.